This includes hospitals, community venues, elderly care settings, schools, conference events, outside areas and occasionally theatres. Work suitable for everyone from 3 year olds to 103 year olds. 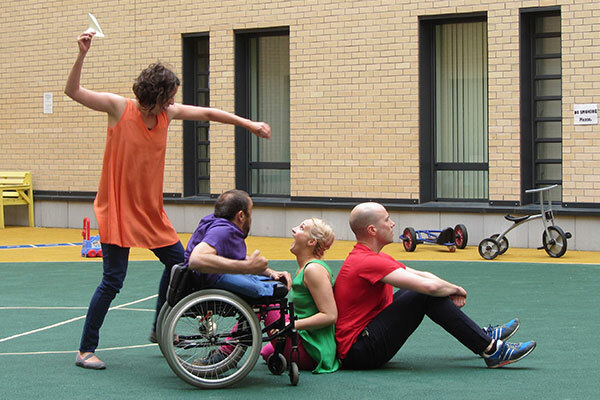 With a fantastic integrated team of professional disabled and non- disabled performers to wow audiences, performing in un-conventional settings means work is seen, experienced and enjoyed by those who do not normally get to see it. Audiences continue to tell us that our performances are thought provoking, uplifting, exciting, emotive and amazing. Audiences are enjoying them and want to see more! Want to watch FRONTLINEdance? Then visit our News page. "I thought it was brilliant – HAPPENCHANCE is a vibrant journey, full of new ideas, a relevant theme, and beautifully presented. Everyone should see this!" 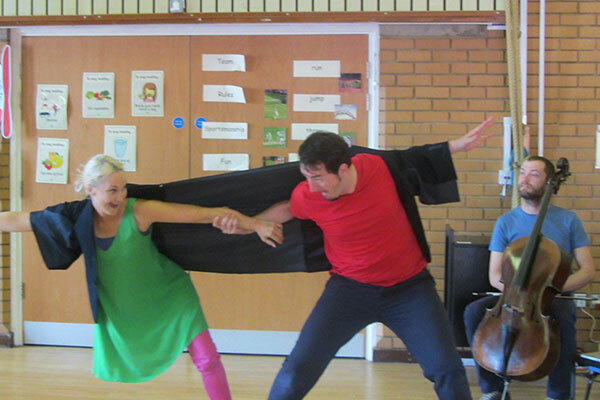 We offer different performances for a range of spaces and age groups. 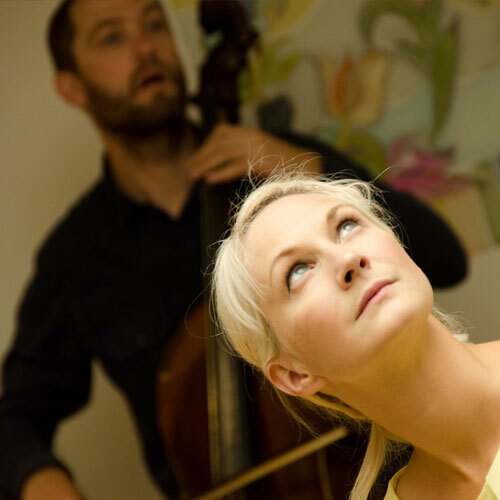 HAPPENCHANCE is a promenade integrated dance, story-telling and live music performance project for hospitals (but not exclusively). 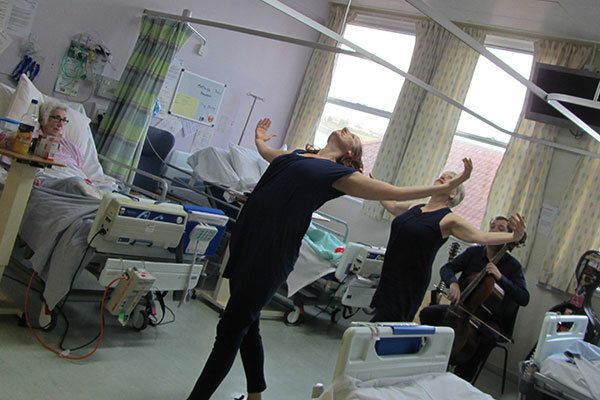 Initially devised for the University Hospitals of North Midlands, Artistic Director Rachael Lines created five new contemporary dance works especially for the hospital environment and all who attend; in and out patients, visitors and staff. 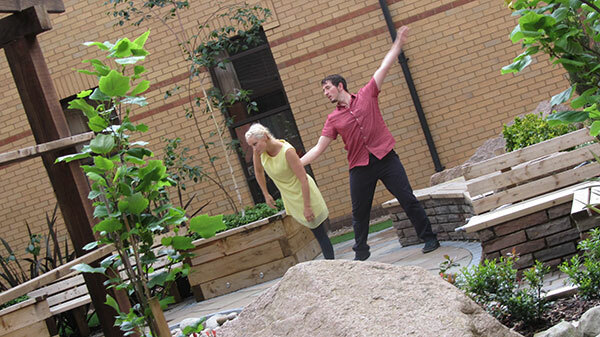 Performers travel between public spaces and corridors to wards, specialist units and even venture outside in the hospital grounds. We have work suitable for Children’s wards, Renal Units (Kidney Dialysis), Chemotherapy, Outpatient waiting areas – in fact our work can be performed anywhere. The main work, also entitled ‘HAPPENCHANCE’ is about chance encounters that we have with strangers and what happens next. It explores how we are naturally drawn to and feel comfortable around some people, and how we react differently to those who make us feel tense or uncomfortable and others who may even make us blush! The work over exaggerates these feelings and situations, creating a mix of a witty/comic dance work for four dancers with tender, emotive and thought-provoking duets. 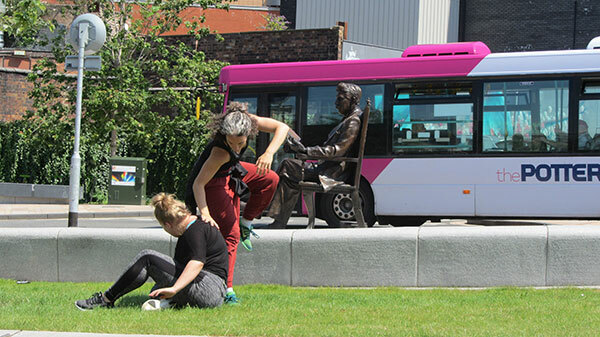 Choreographer and Artistic Director of FRONTLINEdance, Rachael Lines, wanted to create ‘characters’ that audiences could smile at and laugh along with, and then bring a more ‘human’ and ‘real life’ element into the mix; and it worked! This work consists of a number of duets that can be performed alone (small spaces / short 5 minute performances). It is performed to a composition by Greg Hall and with and without a story-telling aspect. 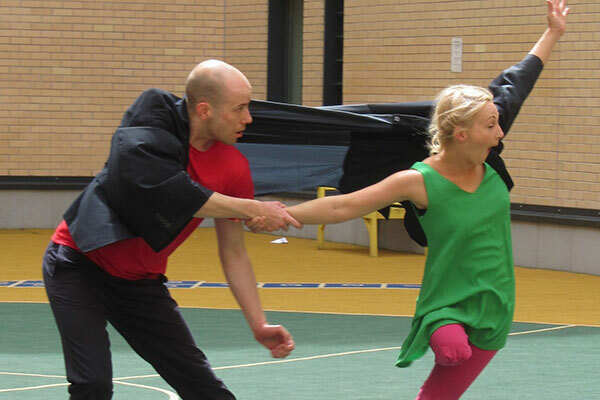 HAPPENCHANCE is available to tour to other settings and theatres – the work can be tailor- made to suit your space and the audience (children or adults). Find out more about HAPPENCHANCE and talk to the team about your requirements. "The sheer entertainment value is always a welcome diversion especially in units such as chemotherapy and medical day case; demonstrating what can be achieved regardless of age and disability". 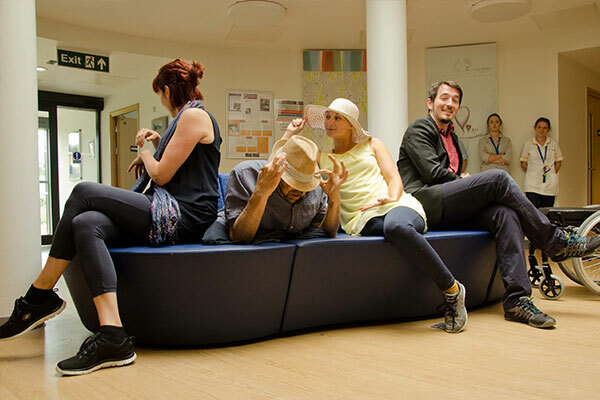 "It made patients smile and feel happy, improving the patient experience whilst in hospital. Everyone talked about it for a long time afterwards"
"This was the highest quality piece of work I’d seen of this kind in hospitals and care homes. 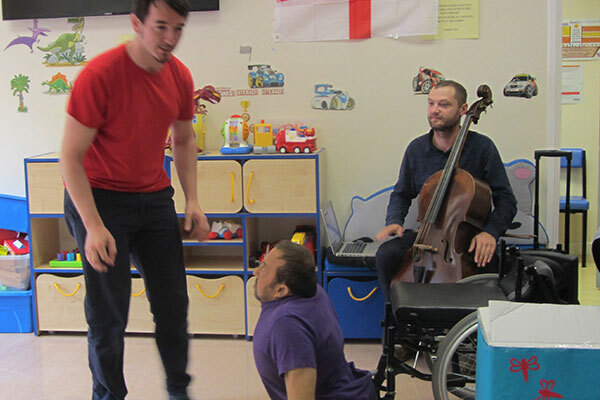 Everyone of all ages seemed to be enthralled and transfixed by the performance from tiny babies to the elderly"
"It was inspirational on lots of levels, very moving and went down brilliantly on the wards. I’ve never seen anything like that with everyone coming together in the lounge (staff and patients) to enjoy the moment"
Inspired by its local heritage, FRONTLINEdance created a fictional story based on Sir Stanley Matthews (local football hero) and Reginald Mitchell (designer of the Spitfire) with story teller Gloria Lowe. It was made into an integrated dance piece and is performed with live music, composed by Greg Hall. The work includes some audience interaction and the chance to make some paper aeroplanes! Accompanied by pre-recorded music and a live Cello (composition by Greg Hall), dancers move around the environment alone and together. This relaxing, breath-taking, beautiful and thought provoking work has been created for passers-by to enjoy as they travel to their next destination, and for those who want to sit and take time to watch and listen. MUSE includes hints, twists and refelectioms of all our performance works. It is adapted to suit both the space we are performing and our audience. Adjusted to the age of the children viewing THE BOX! 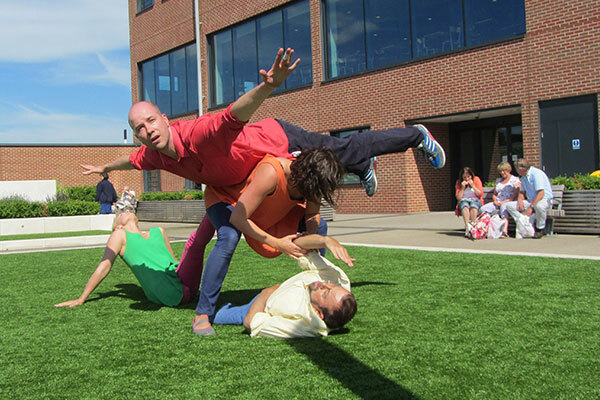 - Numerous objects are found that our performers use to: dance, create music and interact with the audience. It’s fun and light hearted with a message of friendship and integration. The level of interaction and the length of the work differs dependent on the setting and who our audience is. Guaranteed to make you smile. Forget Me Knot has been made for older adults in hospitals, residential, care and community settings, but not exclusively. Forget Me Knot has people at the heart of it and the hospital / care environment was considered in the making of it. 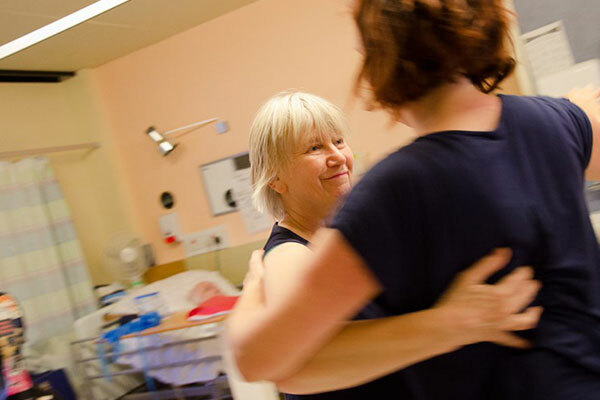 FRONTLINEdance experienced a great deal of enjoyment working closely with the medical staff and patients at Queens Hospital in Burton and very much appreciates both their contribution and support.